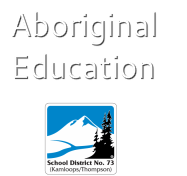 The awards listed below are available to Aboriginal students of School District 73. Please read the criteria for each carefully. Other awards can be found at School District 73 Scholarship Information.